And got in a Dominick’s sangria fix with Five Star SexiMexy who was visiting this weekend, along with other friends. 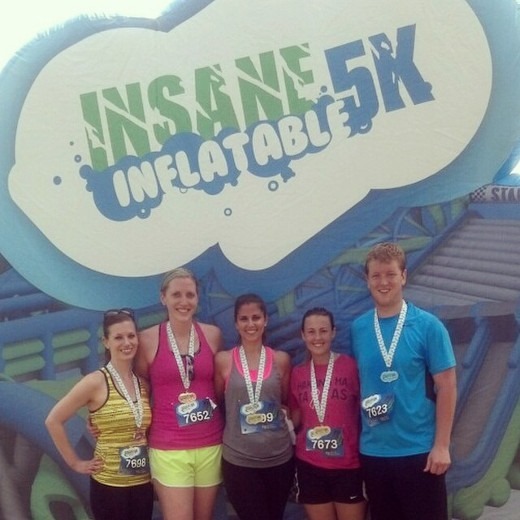 I got up at 6:00 AM on Saturday to head to Lansing to run the Insane Inflatable 5K with my BFF and some other cool peeps. It was fun! 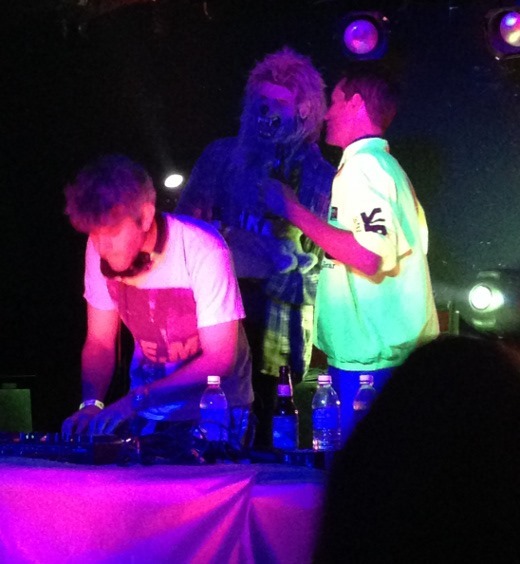 And I even went to a 90s Dance Party at the Pig with Five Cent Femme and spotted Violin Monster. 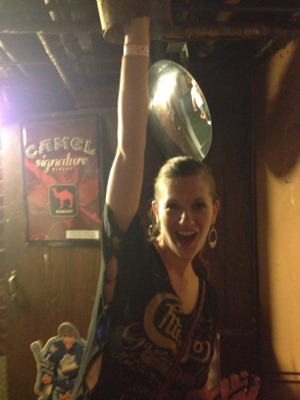 Oh my goodness, my voice is completely hoarse from belting out 90s tunes all night on Saturday! Spice Girls, BSB, *NSync, Vanilla Ice, Cypress Hill, Deee-Lite, House of Pain, Britney Spears… just ridiculously fun music to dance to all night. You know I wore tons of body glitter for the occasion. I forgot how difficult that stuff is to remove. Awesome! Yes, so now, let us rewind back one more weekend. Last week, I told you about our recent staycation in which the huz and I partook in honor of our wedding anniversary. One evening we cooked a gourmet surf ‘n’ turf meal at home. The next evening, our actual six-year wedding anniversary, we let someone else do the cooking and headed out to dinner at Isalita. 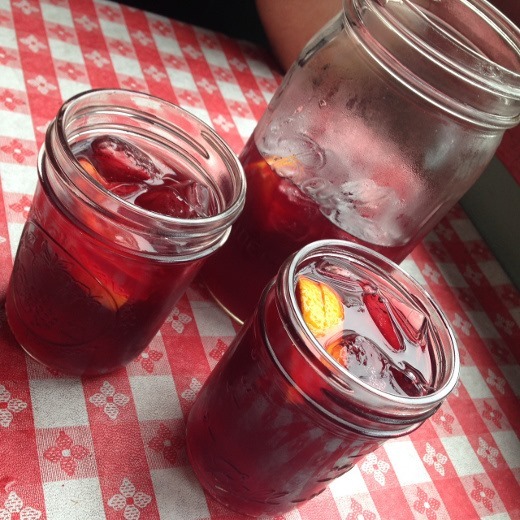 But only after getting our first sangria fix of the summer at Dominick’s! We showed up around 7:00 PM on Saturday night and only had to wait for about 25 minutes for a table, which was not too bad at all. Plus we found open seats at the bar and enjoyed a cocktail during our wait. My first and only previous experience dining at Isalita was approximately 1.5 years ago, not long after they first opened. I had such a great experience last time – not sure why it took us so long to revisit. 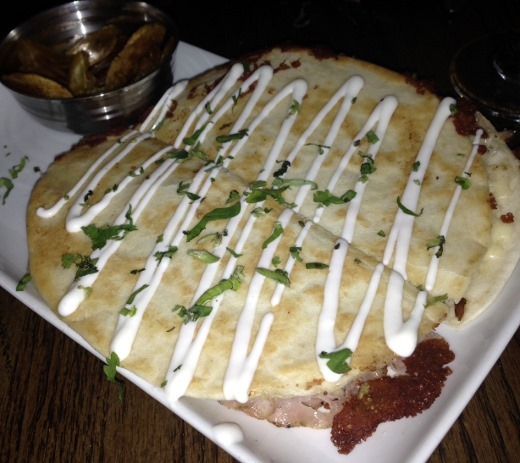 Since our last visit, there have been several updates to the menu, which we were eager to try. 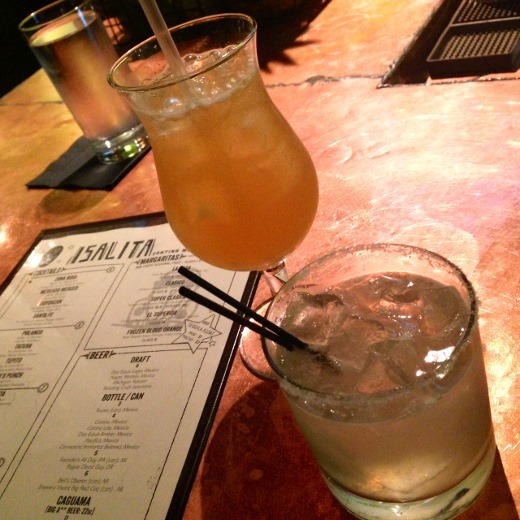 Isalita serves small plates of authentic Mexican cuisine that are perfect for sharing. We ordered four small plates and a side, which made for a filling meal for the two of us. 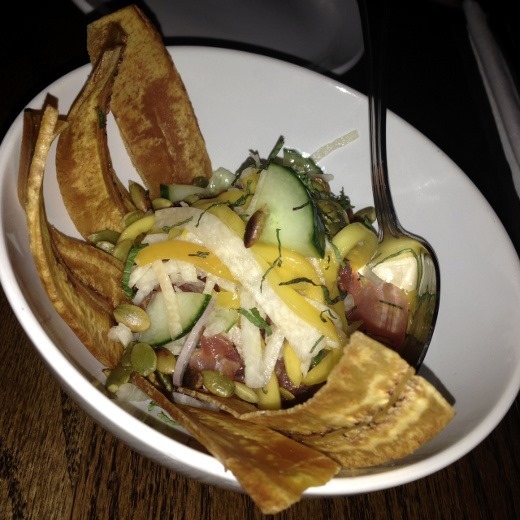 TUNA TARTARE · served with jicama, mango, cucumber, peoitas, and plantain chips. 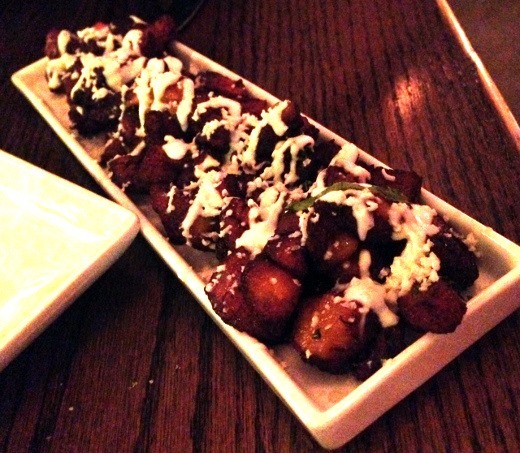 My favorite dish of the night – this was amazing. 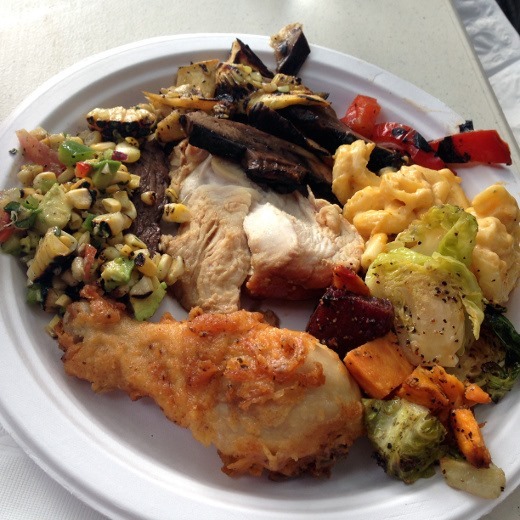 This dish was a special feature – hopefully they add it to their regular menu! 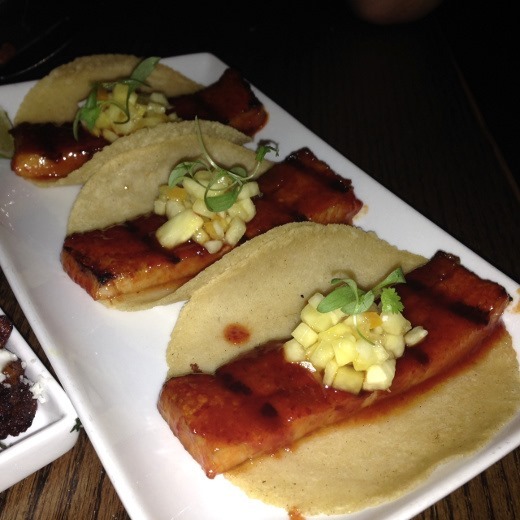 AL PASTOR TACOS · guajillo glazed pork belly and pickled pineapple. (The huz’s fave dish of the night). QUESADILLO CUBANO · chili roast pork, ham, queso chihuahua, pickle. 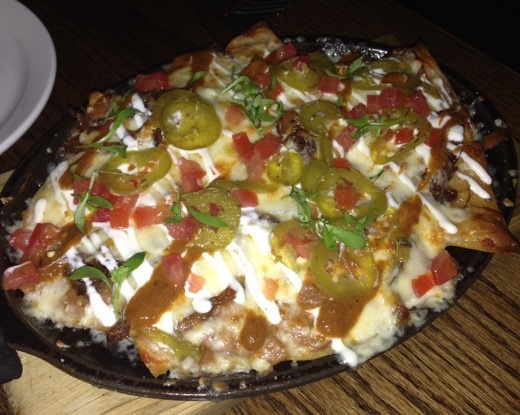 CARNE NACHOS · skirt steak, refried beans, jalapeño, crema, tomato. I’m happy to report that my second visit to Isalita was just as fantastic as my first visit. 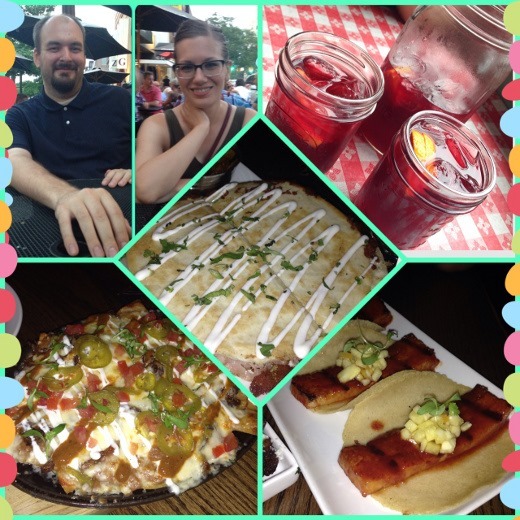 Truly some of the BEST food in Ann Arbor! And great service, great atmosphere. Just all around wonderful. 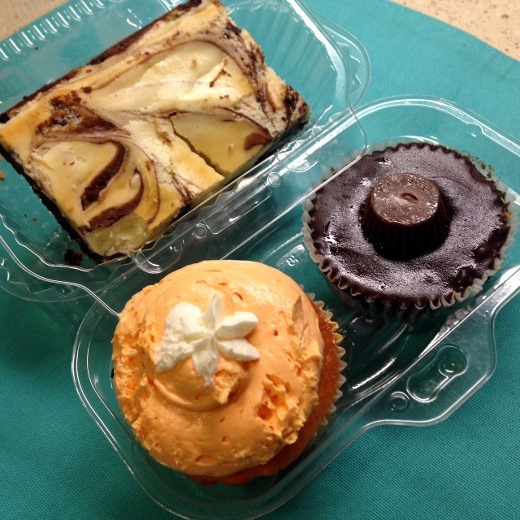 And the night would not be complete without dessert from Cupcake Station! Happy Anniversary! Can’t wait to see you!